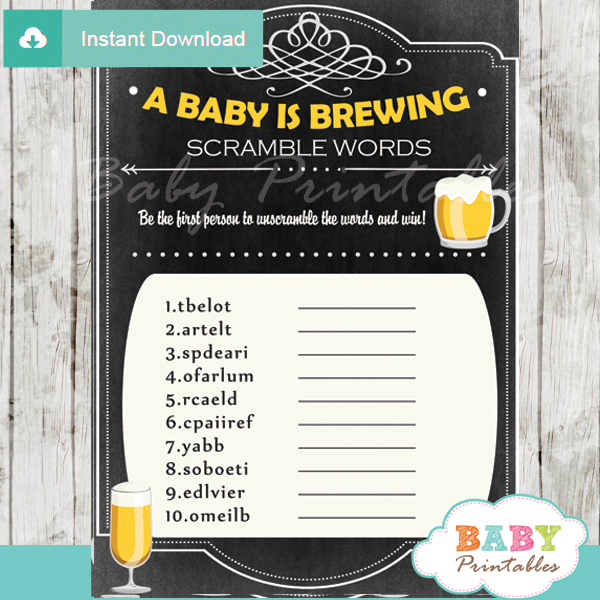 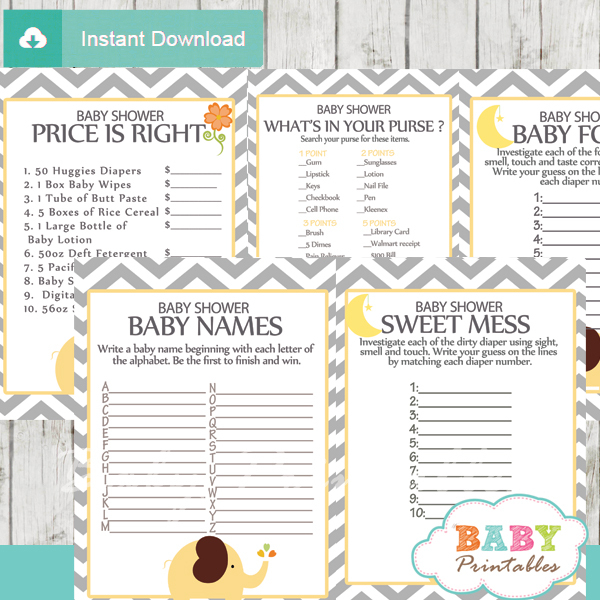 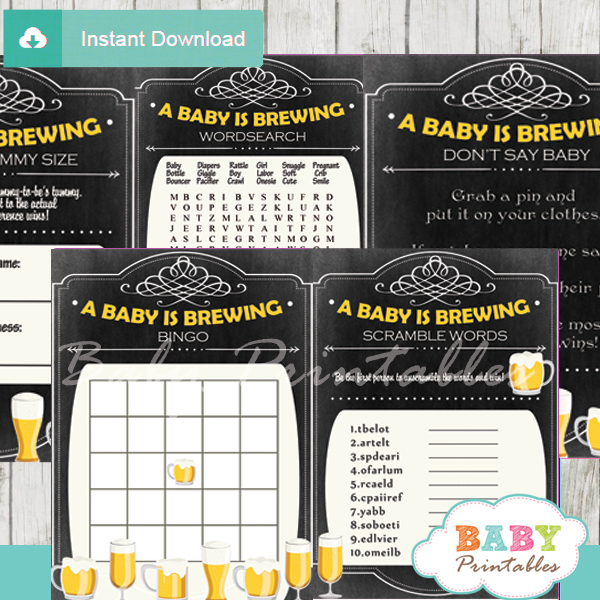 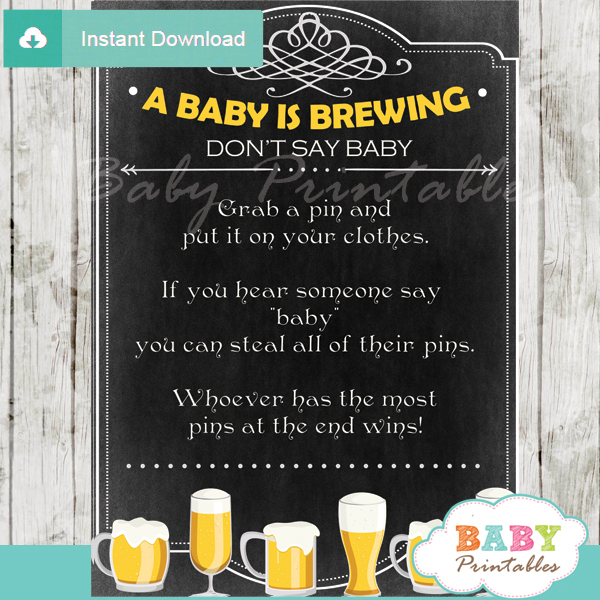 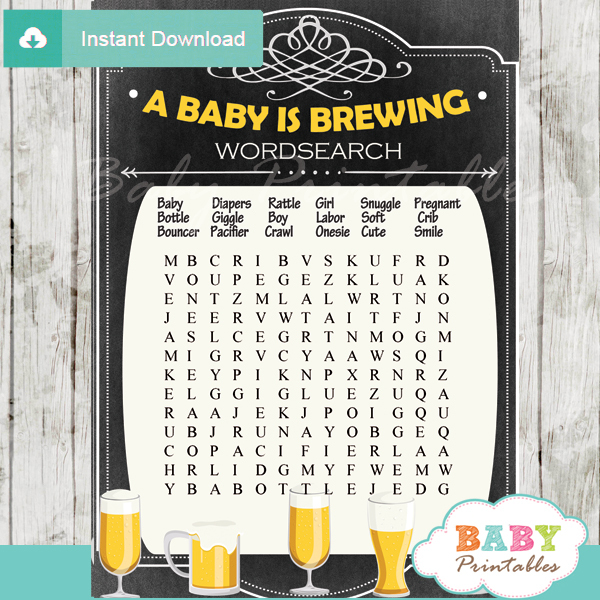 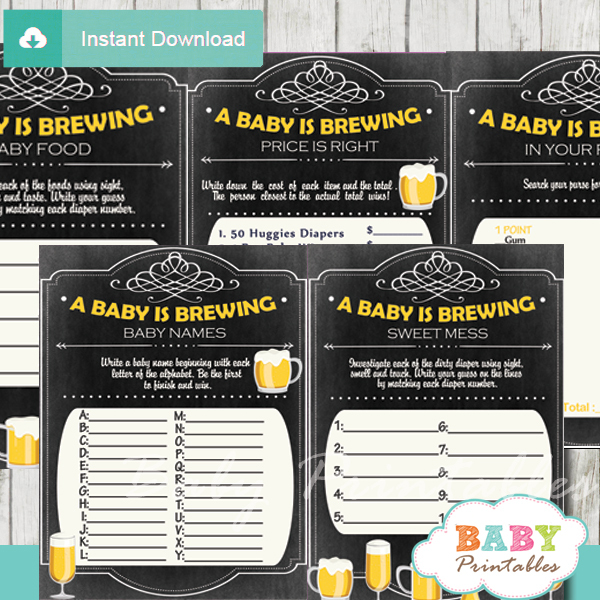 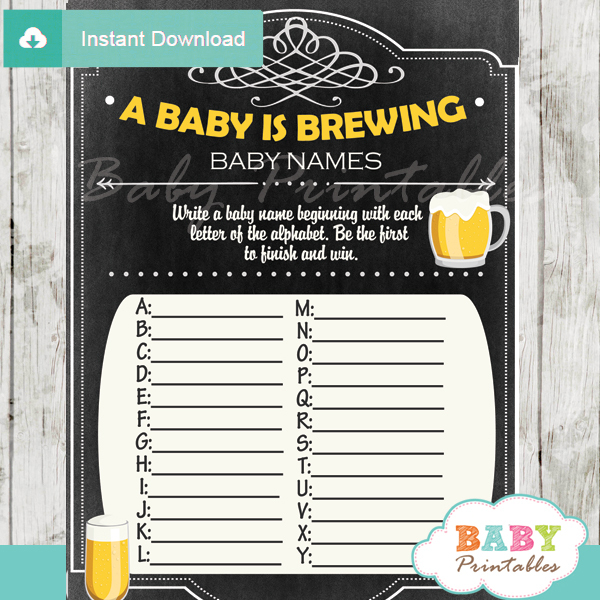 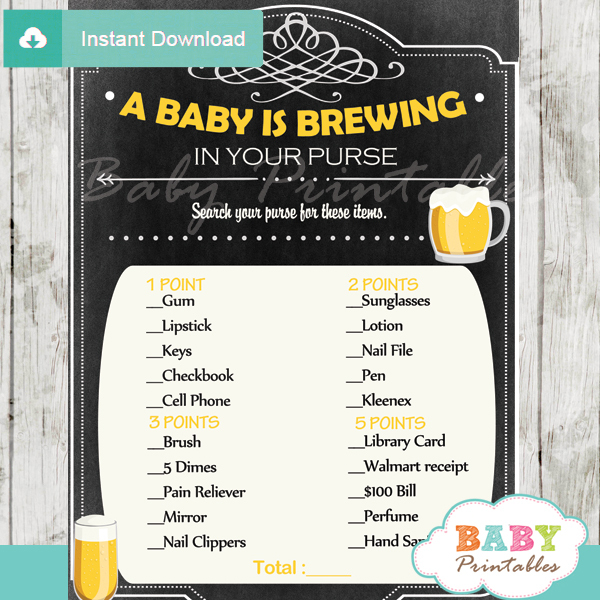 Fun to play printable Baby is Brewing Beer & BBQ themed baby shower Games to keep your guests entertained! 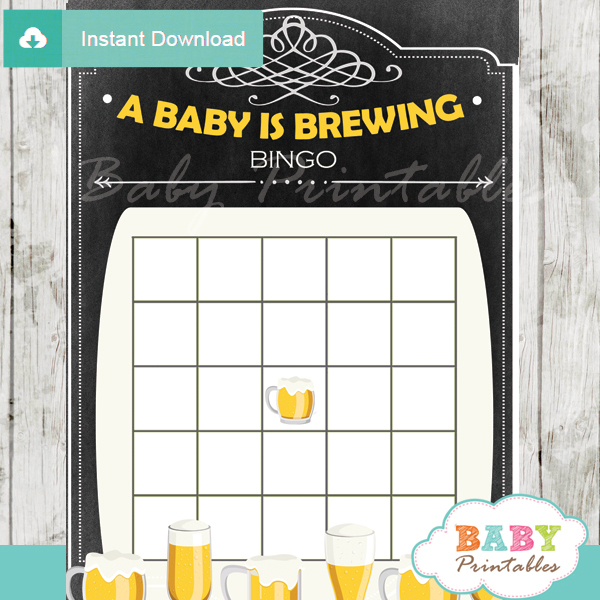 Each game card features glasses of frothy beer against a black, chalkboard, background. 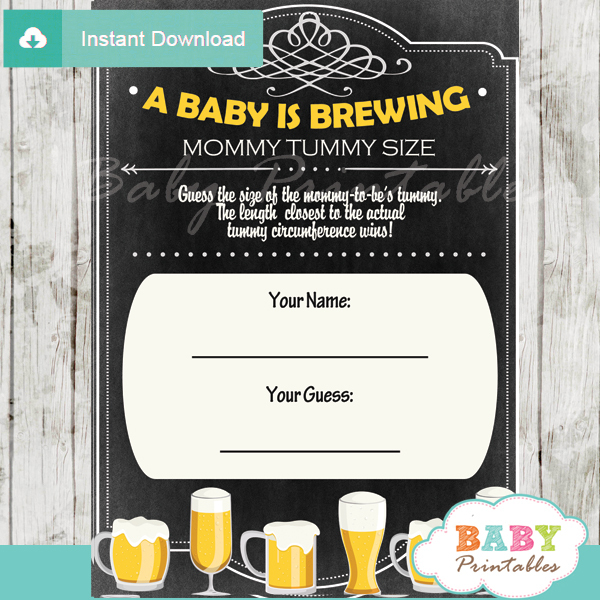 Perfect for any outdoor, backyard, couples celebration.